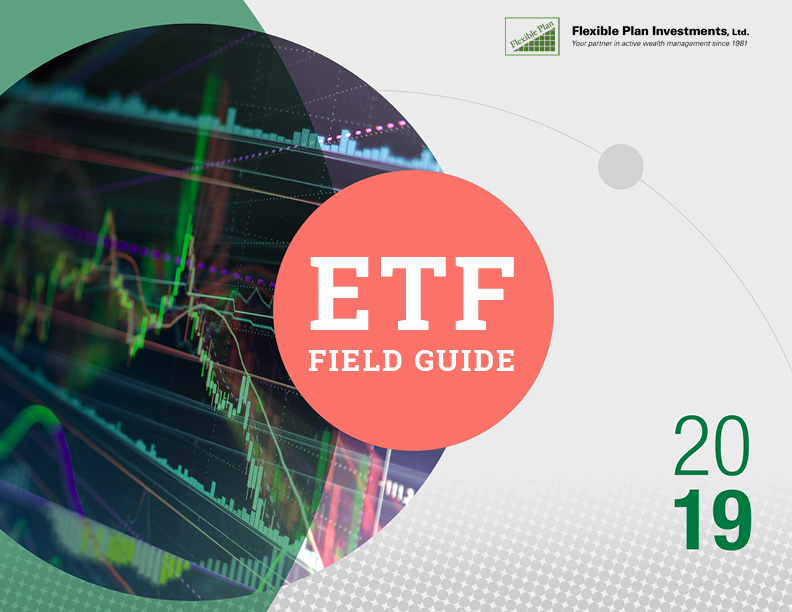 The 2019 ETF Field Guide is a comprehensive e-book developed by Flexible Plan’s internal research team to help explain how ETFs work—and how to select the best ETFs for your needs. Whether you need help getting started investing in ETFs or have years’ of experience, the ETF Field Guide can help you make better, more informed decisions about ETFs. Buy your 2019 ETF Field Guide for just $49. 100% satisfaction guarantee. If the 2019 ETF Field Guide doesn’t prove to be the most comprehensive ETF reference you’ve ever used, return it within 14 days of purchase, for a full refund. You’re not going to find all of this valuable ETF information anywhere else, at any price. Which ETFs use active management, smart-beta indexes, hedging, leverage, or a fund-of funds structure. ETFs that have earned our coveted “blue star” rating to help you focus on the very best ETFs. How our “blue star” ETFs were selected, so you can apply the same process for your investment needs. Comprehensive ticker list and category cross-reference. Instantly download the 2019 ETF Field Guide on any device after purchase. DISCLOSURE — Flexible Plan Investments, Ltd. is a federally registered investment adviser. This is provided for information purposes only and should not be used or construed as an indicator of future performance, an offer to sell, a solicitation of an offer to buy, or a recommendation for any security. Flexible Plan Investments, Ltd. cannot guarantee the suitability or potential value of any particular investment.